Attorney General Jeff Sessions warned sanctuary cities Friday that “enough is enough,” hours after the Justice Department sent letters to nine sanctuary jurisdictions giving them until June 30 to justify why they are not in violation of federal law by forcing law enforcement to release criminal aliens. The Justice Department sent the letters to the state of California, as well as the cities of Chicago, New Orleans, New York and Philadelphia, and Clark County, Nevada, Cook County, Illinois, Miami-Dade County, Florida, and Milwaukee County, Wisconsin — all of which are jurisdictions former President Barack Obama identified as potentially violating the law, Sessions said. 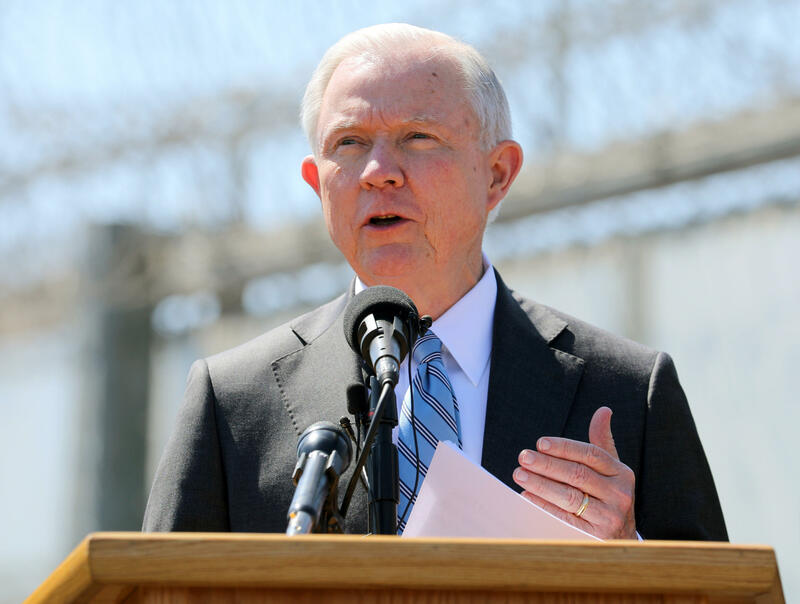 Sessions made the comments in San Diego as he and Homeland Security Secretary John Kelly tour the U.S.-Mexico border to determine ways to boost border security. The top federal prosecutor said he hopes officials in California change their minds. “We’d like our cities that are being tempted by this sanctuary ideology to reevaluate what they’re doing,” Sessions said. Sanctuary cities -- cities which refuse to cooperate with federal deportation officials upon arresting suspects whose legal status is in question -- became a central issue in American politics in 2015 after an illegal immigrant and convicted felon who had been deported five times murdered 32-year-old Kate Steinle in San Francisco. President Donald Trump has promised to crack down on sanctuary cities. “There’s a new administration in town, a new administration that’s going to enforce our laws,” Johnson said. Sessions also stood by comments he made earlier this week, when he said he was “amazed” that an “island” judge could overturn the president, referring to the Hawaii district court judge who blocked Mr. Trump’s travel ban. Many speculated that Sessions’ statement made it sound as if Hawaii isn’t a part of the U.S.
“His judgment will be reversed,” Sessions said.